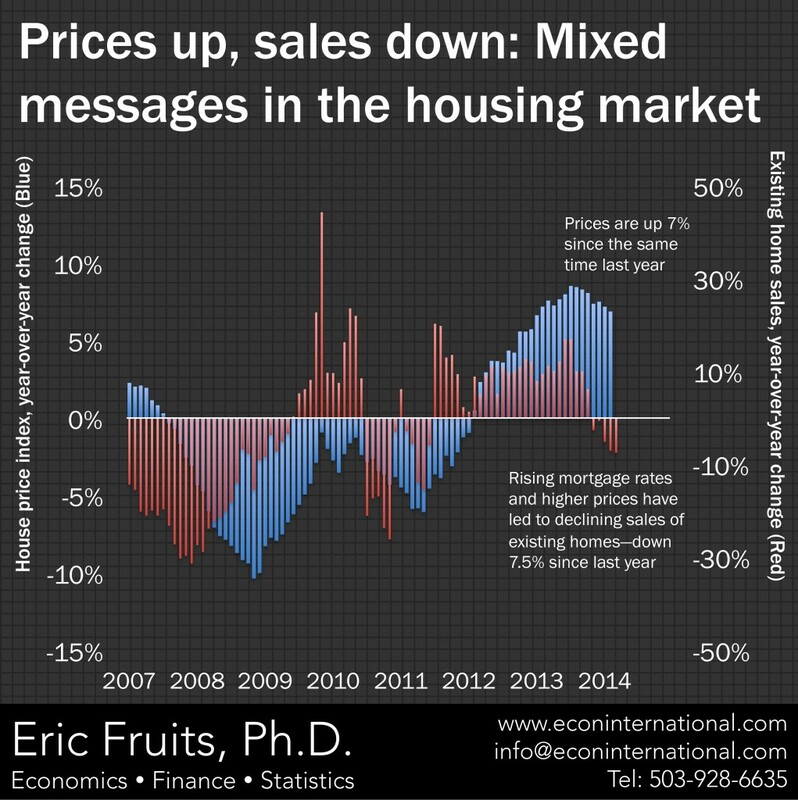 The housing market provides more mixed messages about the economic recovery. On the one hand, home prices, as measured by the Federal Housing Finance Agency House Price Index, are up just under 7 percent over the same time last year. Increasing home prices may boost consumer confidence and help accelerate economic growth. On the other hand, existing home sales, as reported by the National Association of Realtors are down 7.5 percent since the same period last year. Weather can’t be blamed as the bad weather is now behind us. The U.S. housing market saw strong growth in 2012 and the first half of 2013. Existing-home sales hit a seasonally adjusted peak last July and have fallen in seven of the past eight months. High prices, stringent lending standards, and a rise in borrowing costs have been blamed for the slowdown, which could slow the overall recovery. Visit www.thepattisallgroup.com/sea-pines for more information on real estate market.